“Francis, the Underground Church and Apostasy "
Orthodoxy in the papacy means teaching, defending, articulating, and expressing the deposit of the faith and its perennial magisterium of the centuries as promulgated by the Church, by the popes, and Councils for 2000 years. This is holy Tradition. 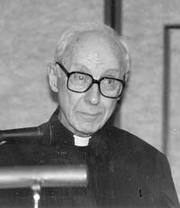 To teach forthrightly the doctrines of the faith, to articulate and clarify these doctrines on a regular basis or to promulgate and defend these teachings of the Deposit of the Faith and its perennial Magisterium of the centuries is foreign to the public image and behavior of Pope Francis thus far. No Pope except Francis has ever held up for reexamination or allowed to be questioned the doctrines of the indissolubility of holy marriage and homosexuality from the perennial Magisterium as though they were no longer relevant: namely, to attempt to dissolve the indissolubility of marriage and the Church’s condemnation of homosexuality as any kind of legitimate or acceptable lifestyle. No pope has ever done this but Francis and he has just accomplished this at the Extraordinary Synod on the Family in Rome along with the cardinals and bishops of the Catholic Church. To advocate that divorced and remarried X Catholics can receive Holy Communion or that there is anything blessed about homosexual unions but a depraved and disordered state contradicts the teaching of 2000 years of Catholic Tradition. This is Francis; this is the synod of Bishops and Cardinals of the Catholic Church today. To reexamine the Church’s truths, to criticize them, to belittle them, or consider altering , changing, or making any exceptions to them is the work of dissent, schism, and heresy. 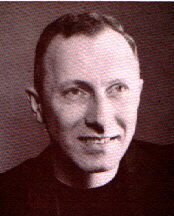 Because of the depraved deed of trying to receive the Sacred Body and Blood of Christ in a state of serious sin, while being immediately ready to betray Christ to his scornful band of followers and non-believers, Our Lord not only anathematized Judas Priest severely, but also, excommunicated him from his most Holy Presence! This was the very first anathema and excommunication of the Catholic Church. And this was done by Our Lord Jesus Christ! This will be the similar fate of the bishops, the cardinals, and Pope Francis if they should dare to violate the indissolubility of the Sacrament of Marriage by allowing reception of the Eucharist to divorced and remarried “Catholics”, or by allowing homosexuals to receive the Holy Eucharist by blessing their sinful and depraved unions. Why is this true? Simply because they will with such an abomination literally excommunicate themselves from the Catholic Faith for violating the perennial magisterium of the centuries and go directly and immediately and completely into total schism with the holy Roman Catholic Faith of 2000 years for denying its perennial magisterium and its doctrinal teachings on marriage and its indissolubility and the sinful depravity of homosexuality. The Church will, therefore, go underground with such a depravity and leave all of its members in schism who stay and remain attached to this heretical folly. And let us not be so naïve to think with such a pontiff as Francis and bishops and cardinals of the ilk we have today that such a reality will not occur. In fact, such a schism with the legitimate Catholic Church going underground is very likely with Francis and his ilk of Cardinals, like Kasper, and bishops like Bishop Semeraro of Albano, Italy who recently attacked orthodoxy and Tradition with a furious blow by saying any Catholic who attends a St. Pius X Catholic Church is in danger of excommunication if he should receive the sacraments or Communion or attend Mass with a SSPX Church. What scandalous barbarity to make such an attack upon traditional Catholicism again and how heretical such a deed is in light of the fact that Pope Benedict XVI granted a full lifting of the excommunication on the SSPX. This is just the kind of heinously sinful behavior that will help send the true Catholic Church totally underground. Prelates who embrace Francis and his anti-traditional and heretical stand will be in schism too, especially after Francis’ own attack on the the Franciscan Friars of the Immaculate who had the beloved charism of the traditional Mass of the ages or the Extraordinary Form and lived it with faith and love till Francis condemned and disallowed any further its usage for no apparent reason other than his own seeming hostility to Tradition. 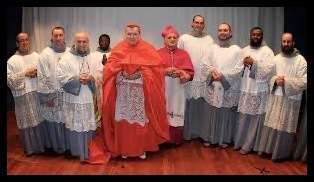 That Bishop Semeraro’s diocese has the audacity to forbid the celebration of the Tridentine Mass of the ages in the diocese--anywhere, ought to make him repentant for failing Pope Benedict XVI’s “Summorum Pontificum” which promulgated that the Extraordinary Form of the Mass be most generously applied. 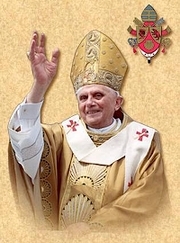 Since he disobeys the perennial Magisterium of simply the pontiff preceding Pope Francis, Pope Benedict XVI, Bishop Semeraro ought to be formally disciplined by Francis if not rebuked for such a condemination of traditional Catholics who wish to attend the “old Mass” at an SSPX Church in his diocese . How picayune and base! 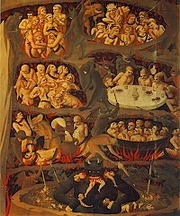 1) A very practical reason is that homosexuality mired in the priesthood and episcopate for the last 40 years has brought rack and ruin with the closing of church after Catholic Church to pay back the legal bills of pedophilia lawsuits for the outrageous crime and heinous sin of homosexuality on little boys in the various dioceses around the world. This has broken financially diocese after diocese with the selling off of church property to pay for these horrendous clerical lawsuits. 2) For a spiritual reason, such depravity in the papacy and hierarchy of the Catholic Church will Inevitably bring about its demise and ruin. The perfidy of Judas Priest and today’s Pope Francis along with the bishops and cardinals of the Catholic Church at the Extraordinary Synod on the Family are most, most similar! Therefore, the pontiff Francis and the Cardinals and Bishops will simply be devoted servants of Jesus Christ on the Catholic stage of the Church’s history or infamous reprobates who “vote” to deny the Master as Judas Priest did in a grievous sin against the holy Catholic Faith. 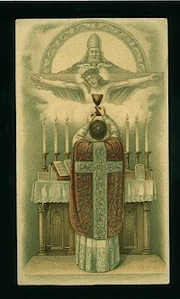 The reason the perfidy of Pope Francis and today’s bishops and cardinals are most similar and concerning identical realities is because of the parallel violation of the most holy Presence of Our Lord Jesus Christ in the most Holy Sacrament of the Eucharist. If one only consult Sacred Scripture, it is extremely obvious to see how history today repeats itself with the Apostles gathered around Christ in close communion with one another as Christ offers Himself as the ultimate sacrifice for our sins in the holy Sacrifice of the Mass. Clearly, Francis lacks the papal gravitas of his predecessors as he does not forthrightly teach, preach, promulgate and defend the deposit of the faith as the 265 popes of the last 2000 years have done, but seems to have retreated from this most noble and authoritative position as Christ’s Vicar, only to be a mere player on the stage of history and not a believable orthodox pontiff or pope. 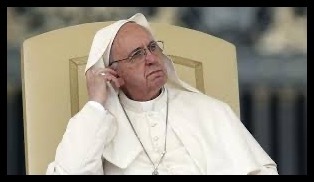 As a matter of fact, he has turned over the Church to this liberal band of wolves in sheep’s clothing , the hierarchical sycophants who have reeked havoc on the faith and morals since Vatican II . Undoubtedly , the Church’s most serious dilemma is Pope Francis whose problem, front and center , is orthodoxy. Let us remember that a holy pope is an orthodox pope, and an orthodox pope is a legitimate pope, and a legitimate pope does the will of Christ , the eternal High Priest, Who gave Himself up for the sins of the world on the Cross. Let us examine further why this pope is possibly an Apostate Pope or an illegitimate and heretical pope who should abdicate the Throne of Peter if so. Part II: The Heretical Apostate Pope? 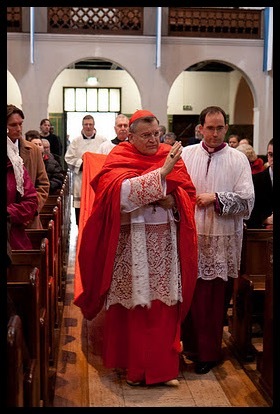 Raymond Cardinal Burke, as the once recent head of the Apostolic Signatura—the highest court of the Catholic Church, has come out and recently said that the “Church today is like a rudderless ship, steering in no particular direction.” This is an abomination of the teaching authority of the Church for 2000 years that a notable prelate such as Cardinal Burke, has to take issue with the pope himself for no other reason than the Church is not being led forthrightly, and strongly directed by a legitimately orthodox pope. For who else would be responsible for this dilemma of the Church not being led properly than Pope Francis. One of Francis’ grievous faults is this failure to lead; and to teach authoritatively and positively Church doctrine, thus making him a false Christ or false Prophet. How do we know? Well, the Bible tells us that the Master came into this world in the capacity of a Savior and this is abundantly clear from His own words. 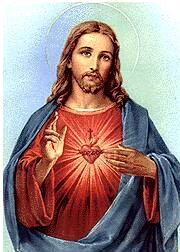 On every occasion Jesus appeared before the people in the capacity of a divine teacher. Consider Pope Pius XII authored over 40 positive encyclicals on Church doctrine. However, Frances, apparently, does not take his role of teacher and Vicar of Christ seriously, for he makes wild and ambiguous statements to the press like: “who am I to judge, Evolution is now ok as the Big Bang theory is ok.” While Our Lord recognized the old teachers of Israel, He invariably added His own interpretation of their words, and where necessary, added His full and total statement of the complete truth. Had Christ not taught “as one having authority,” and had He not backed up His teachings by miracles, the Jewish leaders might not have contemplated His death. Jesus, nevertheless, demanded as a sign of discipleship under Himself an absolute faith in His doctrine and unconditional acceptance of His every word. So, Jesus foretold, the false christs who will appear at the end of the world will reveal certain truths to men, but false truths. For the human mind is made for truth, and cannot be satisfied adequately without it. Therefore, the false teachers are most clever to know that, if they do not possess some shreds of truth, they can never gain a following of believers. But the so-called truths they preach will be of their own choice. For example, Pope Frances recently prattled that the “Church should not be afraid to go out on the peripheries.” But what does this ambiguous statement mean but anything you want it to. 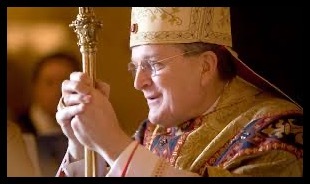 So Cardinal Burke corrected the pope---God bless Him---“saying the Church cannot ever go anywhere in effect without its teachings.” Christ’s teachings were never vagaries like this Francis version but exact moral teaching about everyday life. It is believed by most of today’s contemporary religious leaders that it makes very little difference what a man believes, so long as he lead a decent life. For do not all roads lead to heaven? This is one of the most dangerous doctrines imaginable, for it is in flat contradiction with the teaching of Jesus. Sadly, this current Holy Father Francis falls right into this immoral mold. How? When he teaches about homosexuals to the Press and the Church and the World such wrongheaded statements that “he cannot judge homosexuals because if they are nice and kind people, who am I to judge?” This is altogether not Catholic! And by innuendo heretical ! Who are the False Prophets of Today? 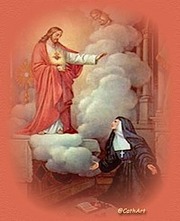 Our Savior tells us that not only will false christs appear, but also false prophets before the end of the world, “who shall show great signs and wonders insomuch as even to deceive the elect.” Clearly, the false prophets of whom Jesus speaks would have us look for salvation aside from Christ and His Church: such as the vehemently unorthodox teachings on Marriage, the Eucharist, Homosexuality and what is family at the most recent synod by the new breed of bishops and this pope Francis . As we see these days, the false prophets of whom Jesus speaks would have us look for salvation aside from Christ and His Church and its perennial Magisterium of 2000 years or its Tradition. Jesus was the King of Prophets, and , therefore, foretold what would befall His Church until the end of time. We need look for no other promises regarding His Church. He has told us all we need to know in this present time through the Deposit of Faith and, for that matter, all times. Nevertheless, the false prophets, not satisfied with the words of Our Savior regarding His Church, would direct us to some other place for the helps we need to reach our eternal destiny. They tell us that, with the spread of education, it is not necessary to accept without question everything that the Catholic Church teaches. Some of these points of doctrine and some of these injunctions of the moral law were highly valuable and civilizing in ages past but not an enlightened age as our own. But no man of science or learning would dream of accepting these doctrines today. This would be intellectual suicide! Against these false prophets and various other prophets Our Savior warns us to beware in the Holy Scriptures. Since He Is Infinite Wisdom itself, He knew what man would need to attain his full spiritual stature. He knew full well just what was in the heart and soul of man, and what would cure it of its faults and sins. Our Divine Lord Jesus Christ did not come to establish a school of science or public opinion, but a religion filled with precisely those doctrines and moral precepts without which man could not save his immortal soul. To these teachings of Jesus in His Church essentially nothing new can be added. Whatever strikes us as being new or radically opposite the teachings of the Good Master are not to be found legitimate . All we can hope to do with our science today and education is to find new methods of approach to the teaching of Jesus, and new ways of explaining it more clearly to the people. Anyone, be it pope, bishops, priests or people who essays to substitute anything in the place of the teaching of Christ in the Tradition or the holy Deposit of Faith, is trifling with the Will of God, as this was made known to us authentically in the perennial magisterium of the ages. 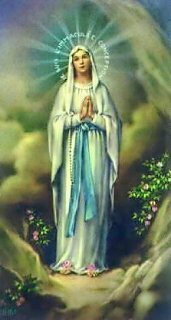 It is the boast and glory of the holy Catholic Church that, throughout the ages, she has never tolerated any tampering with the teachings of Jesus. 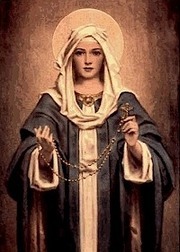 Despite what her enemies may say about the Church from within or without , she is not only not behind the times, but so far ahead of them that all heretics and schismatics, with all their intellectual alertness, will never succeed in catching up with her—even if the heretics be pope, bishop, priest or king. “The darkness of sin and the night of heathenism shall vanish before the Light of the Word and the Spirit of Grace, and the Heart of Jesus shall live in the hearts of men,” even if it is only a few!